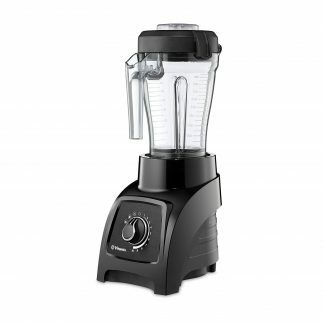 SMOOTH “S” BLADE: The smooth “S” blade that comes with the bowl assembly allows you to blend ingrediants, emulsify liquids and chop to a coarse texture. 2.5-QUART BOWL: The 2.5-quart clear plastic batch bowl is great for processing multiple ingredients together at once allowing the user to see the product inside. 3-BUTTON CONTROL PANEL: The R101 B CLR has easy-to-use on/off switches taking all the assumptions out of processing, while the pulse option allows for more specific execution. MAGNETIC SAFETY SYSTEM: The Robot Coupe R101 B CLR boast a lever-activated auto restart, making them more user-friendly and optimizing throughput. 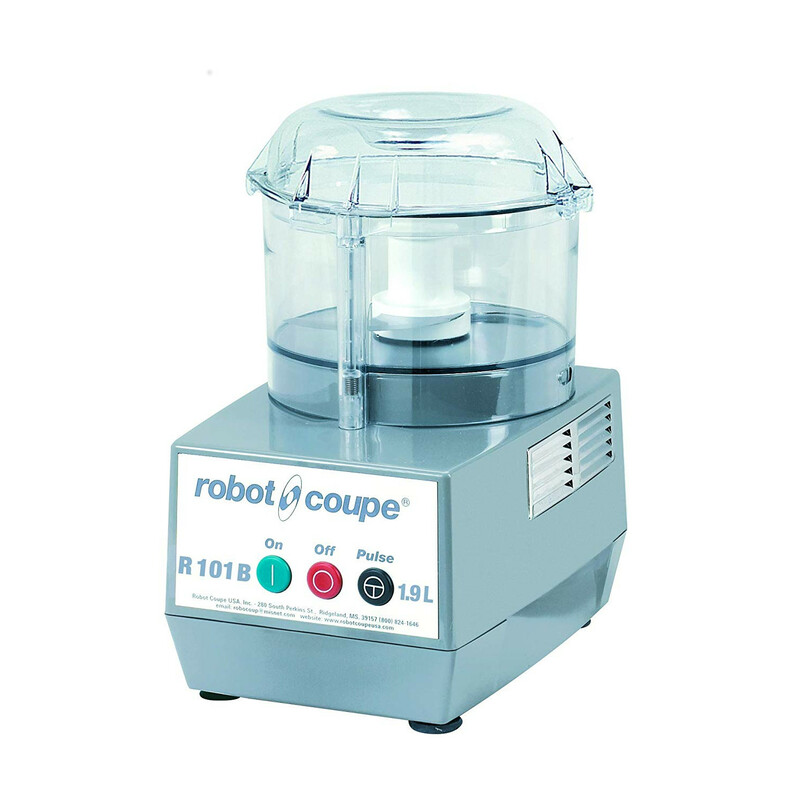 1-YEAR WARRANTY: The Robot Coupe R101 B CLR has a 1-year limited warranty against defects in the material and/or workmanship, and includes labor for replacement of defective parts. 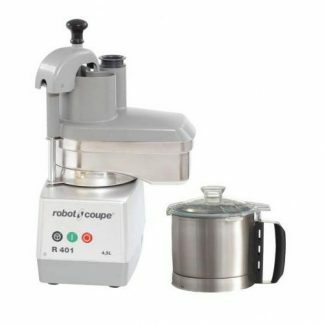 There are countless preparations that you can do with the Robot Coupe – R101 B CLR – Commercial Food Processor with 2.5 Qt Clear Bowl set up in your kitchen. 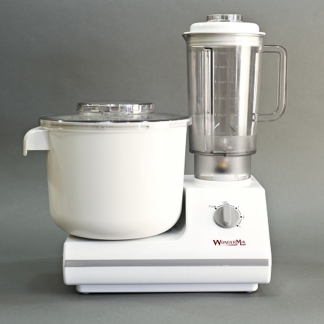 From shredded potatoes to homemade mayo, you can prepare up to 400 servings per hour. With only one available speed, a lot of the guesswork is taken out of the process, and the clearly marked on/off switch gets everything started. Inside the Robot Coupe Commercial Food Processor with 2.5 Qt Clear Bowl (R101 B CLR), you’ll find a stainless steel blade that is ready for action. The power cord and plug are also included.